Why Aluminium Facades are Becoming the Mainstay of Modern Construction? Are aluminium façades durable enough? Is the cost of maintenance of aluminium façades too high? What about corrosion resistance of aluminium façades? Are aluminium façades truly fire resistant? Aluminium when alloyed with elements such as silicon, magnesium, and zinc in optimal quantity becomes reasonably durable, which is a must for any construction material. These alloying elements increase the strength-to-weight ratio of the white metal while enhancing its corrosion resistance and UV-shielding capacity. It goes without saying the more durable a material is the lower is its maintenance cost. Aluminium facades and construction systems are highly durable; plus, they are additionally pre-treated and coated. So, they do not rust and can endure substantial environmental stresses. However, long-term exposure to environmental pollutants does make it necessary for the aluminium facades to be cleaned at regular intervals. This helps keep the sheen of the metal intact and preserve its decorative finish and overall aesthetic value for almost indefinite period. Method as simple as pressure wash is sufficient for cleaning anodised aluminium façades while all one needs to do to clean powder-coated aluminium structural components is use a mild detergent solution. For project-specific maintenance, however, especially in case of industrial constructions, one should always approach technical consultants in order to get the best result and avoid downtime as much as possible. Most aluminium construction materials are pre-treated; hence, the question of corrosion is negated at the first place. But, even untreated aluminium is corrosion-resistant because of the thin layer of aluminium oxide that is naturally formed on it when exposed to air- a process called passivation. On anodising the thickness of this protective layer of aluminium oxide increases manifold thereby further reducing the possibility of getting corroded. In extreme climatic conditions, special maintenance programme must be adopted to protect aluminium façades from threat of corrosion. Aluminium is classified as a non-combustible material for construction. It is not inflammable but melts when subjected to temperatures as high as 600 degree Celsius. It has been observed that aluminium façades having combustible thermos-plastic cores between two sheets of the metal have the tendency to catch fire. But such façades are banned in almost all countries, as clearly they do not comply with the global fire-safety standards. Recently, in the wake of a few fire incidents in the UAE, which were thought to be caused due to the use of combustible aluminium façades, the Building and Construction industry has become doubly careful about the issue. Dubai-based building materials company Danube has unveiled a new aluminium composite panel (ACP) designed to minimise the risk of fire, the first such material in the Middle East. Named as Alucopanel, the aluminium construction product is non-combustible, emits little smoke and minimises the risk of droplets. It has a central fire resistant core and can be either 4.4mm or 6mm thick. Alubond USA has also launched its highest grade of A2 fire resistant aluminium composite panels. The move is in line with the new code of practice being drafted by the UAE Civil Defence. 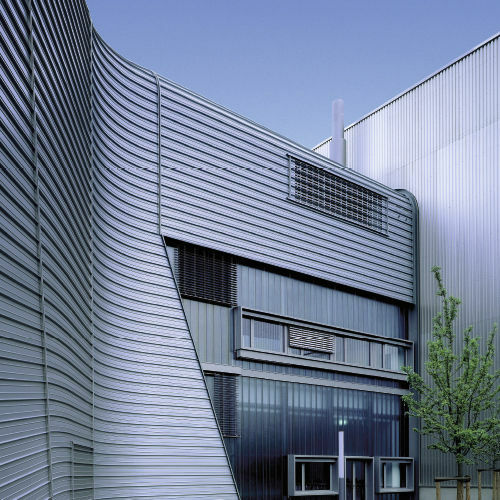 A number of R&D activities are taking place all over the world in the Building and Construction sector to improve upon the quality standards of aluminium facades. Companies like Hydro are introducing technologies that not only enable architects and builders to develop visibly attractive design solutions, but also provide a variety of functional characteristics in terms of thermal requirements, sound- and wind insulation, earthquake safety, fire resistance and theft resistance. Each of Hydro’s three brands, Technal™, Wicona™ and Domal™, for example, represents a distinct system that enables customers to tailor-make their offerings to the market meeting a wide range of demand from single window replacements to the erection of façades on major structures such as airports or high-rises. 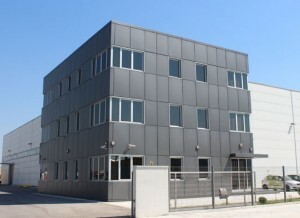 Alubond REAL Anodized Composite Panels, another brand of Alubond USA, too have many affirmative features such as: excellent resistance to filiform corrosion, anti-graffiti and easy to clean, no risk of chalking, impermeable anodized layer, resistance to erosion, in addition to being 100% recyclable. A recently published market research showed the global aluminium market for Building and Construction sector is slated to grow at a CAGR of 6.31% during the period 2016-2020. The latest trend driving the market growth is the increased use of aluminium in Building Integrated Photovoltaic (BIPV) systems. In BIPV systems, mostly used in facades and roofing, a thin solar cell is integrated into facades made of polymer membrane. Instead of conventional construction materials, these systems are used as a source of energy in buildings and help pare down the overall cost of construction. With the preference for minimalistic design, and environment friendly and low-weight materials growing stronger, the demand for aluminium façades will rise steadily. Moreover, escalating energy cost and the dramatically increasing focus on CO2 emissions are also expected to drive demand for new, more sustainable building solutions in the years to come. How Does Aluminium Packaging Facilitate Branding? Why bother to build a case for aluminium composite panels?